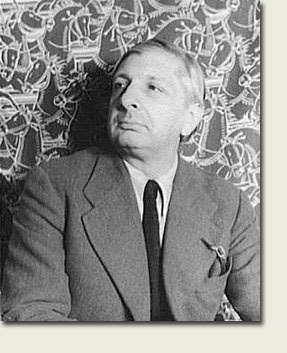 Giorgio de Chirico was the inventor of pittura metafisica (metaphysical painting), a unique and enigmatic style which served as the precursor to many artistic movements including Dada, Futurism, and Surrealism. De Chirico had his roots in surrealism, but his main source was the Swiss Artist: Arnold Bocklin (1827-1901). "De Chirico found in bocklin the very qualities that Italian Futurism most hated - mystery, nostalgia for the past, and a tremulous feeling for what is history-bound, rather than "objective" or "progressive", in human character. By 1910 he was living in Florence, where he began painting a unique series of landscapes such as "The Enigma of an Autumn Afternoon" (1910).The motifs were often from the cities Ferrara and Turin. The places seem airless, the sun looks like late afternoon, and the weather is always the same. Perspectives are long and theatrical. The eye becomes frustrated because De Chirico on the same time uses one-point perspective and a flattened picture plane. Typical for De Chiricos paintings is that human life has been turned into tiny faraway figures, which are not able to communicate. The main figures are sculptures or rather something in between man and art. For instance tailors dummies. The isolated figures seem overpowered by their own shadows and by severe, oppressive architecture. Moving to Paris in 1911, de Chirico gained the admiration of Picasso and Guillaume Apollinaire. After 1918 de Chiricos work changed into a more classical style, but even so, metaphysical themes continued to recur in his later works. By the 1930s he had broken with his avant-garde colleagues and had disclaimed his earlier works. De Chirico's Metaphysical paintings exercised a profound influence on the painters of the Surrealist movement in the 1920s. Italian painter, writer, theatre designer, sculptor and printmaker. Together with Carlo Carra De Chirico originated of Pittura metafisica. His paintings are characterized by a visionary, poetic use of imagery, in which themes such as nostalgia, enigma and myth are explored. He was an important source of inspiration for artists throughout Europe in the inter-war years and again for a new generation of painters in the 1980s. His abrupt stylistic changes, however, have obscured the continuity of his approach, which was rooted in the philosophy of Friedrich Nietzsche. This has often led to controversy. (i) Vólos and Athens, 1888–1905. His parents came from the Italian diaspora within the Ottoman empire. He was very close to his brother, Andrea (who later adopted the pseudonym Alberto Savinio). As children they identified themselves with the heavenly twins, Castor and Pollux, while their closest associates became the Argonauts (a reference to Giorgio’s birthplace, Vólos, from which, in Greek legend, the Argonauts departed to retrieve the Golden Fleece). The brothers’ inherited Greek culture was a consistently rich source of inspiration. Their father, Evaristo de Chirico, was an engineer engaged in supervising the construction of the railway in Thessaly. He encouraged his sons’ artistic talents, engaging drawing tutors for Giorgio and sending him to study with the Swiss painter Emile Gilleron (b 1851). From c. 1903 to 1905, at the Higher School of Fine Arts in Athens, de Chirico studied drawing under Georges Roilos (1867–1928) and Constantinos Bolonakis (1837–1907) and painting under the Munich-trained Georges Jacobidis (1852–1932). His failure in the final exams was probably due to the shock of his father’s death in May 1905. De Chirico’s mother, Gemma, remained a driving force behind her sons, pouring her ambition into their success. (ii) Munich and Florence, 1906–11. In the autumn of 1906 the family left Greece, visiting Florence before moving to Munich. There de Chirico enrolled at the Akademie der Bildenden Künste and became interested in the bizarre narratives of Max Klinger’s prints. His early work, however, owed most to the mythological and symbolic paintings of Arnold Böcklin. It seems likely that de Chirico found in the world depicted by Böcklin parallels with his own childhood memories. In the 1920s he published an appreciation of both artists. Other painters whose work attracted his attention included Hans Thoma and, later, Alfred Kubin. De Chirico’s departure from the academy before graduation was perhaps as a result of his growing interest in the Munich avant-garde. By March 1910, when he left Munich to rejoin his mother and brother in Milan, his work was already less dependent on Böcklin. It was probably in Florence in 1910, rather than in Munich as he later suggested, that de Chirico began to study Schopenhauer and Nietzsche through the writings of Giovanni Papini. In the same year he painted his first important work, Enigma of an Autumn Afternoon (priv. col., see 1982 exh. cat., p. 134, pl. 4). The painting shows a small pedimented building with curtained openings set into a wall, beyond which the sail of a ship is visible; two figures stand near the base of a tall statue in the foreground, and there is a feeling of anticipation. It was de Chirico’s first attempt to capture the notion of the enigma and to penetrate to the reality concealed behind the everyday, where the commonplace becomes unfamiliar and reveals its true essence. The revelation of this parallel reality, inspired by the philosophy of Nietzsche, was a central concern of metaphysical painting. De Chirico moved to Paris with his mother in July 1911 to join his brother. They stopped in Turin on the way for de Chirico to experience at first hand the city where Nietzsche, in embracing a beaten horse in 1888, first showed signs of madness. De Chirico associated this event symbolically with his own date of birth. In Paris, illness initially prevented him from painting, so his exhibition of three works at the Salon d’Automne in 1912 included the Enigma of an Autumn Afternoon, which he had brought from Italy. By the end of 1912 his paintings of Italianate town squares, inhabited by statues or lurking figures, began to be occupied instead by the mythological figure of Ariadne; her assistance to Theseus in the escape from the Minotaur’s labyrinth was a symbol of revelation. In order to enhance the feeling of disjuncture in these works, de Chirico undertook a radical reordering of perspective, creating deep, dislocated spaces closed off by rapidly receding arcades and high brick walls. In 1913 de Chirico sold his first painting at the Salon d’Automne, and this seems to have inspired a new commitment to his work. At this time he attended the Saturday evening gatherings of Guillaume Apollinaire, finding in him an encouraging critic and an inspiring friend. Apollinaire was the first to apply the term ‘metaphysical’ to de Chirico’s art (in an article of 30 October 1913 published in L’Intransigeant), and through him the de Chirico brothers met Picasso, André Derain, Brancusi and Ardengo Soffici. Giorgio was less gregarious than Andrea (by then known as Alberto Savinio) and remained more aloof, maintaining his artistic isolation. Stylistically, his work was closer to the work of Henri Rousseau than to the formal concerns of the Cubists at this time. Apollinaire was nonetheless attracted by the mysterious and enigmatic qualities of de Chirico’s paintings (see fig. 1) and gave him his imaginative support, a factor that undoubtedly reinforced de Chirico’s reputation.